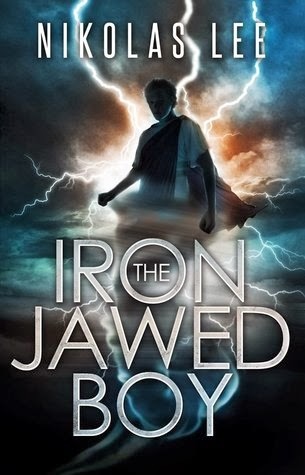 The first book of the Sky Guardian Chronicles series, "The Iron-Jawed Boy," by Nikolas Lee, is about a boy, who, after being taken from his family, discovers he possesses an incredible power. Set in 2300, "The Iron-Jawed Boy" begins when young Ionikus Reaves is taken away from his family and sold as a slave. But before he leaves with his captors, his dad imbues his jaw with iron. Ion leads a miserable life serving Sir Dread, a cruel, powerful judge, until one day a god, called a Guardian, takes him away to an island where the rulers of Earth reside. "The Iron-Jawed Boy" has an interesting plot that has a good balance of slow-paced moments and exciting action scenes. The characters, especially Ion, are well-developed and fun to follow. The greatest strength of the book is its world-building. Although it is a fantasy book aimed at a younger audience, there is a fair amount of lore in the book that is very engaging. Overall, "The Iron-Jawed Boy" is a great read for younger fantasy fans or anyone who likes approachable, imaginative books.